Logo is not used for commercial purposes or in connection with any promotion or marketing that reflect unfavorably upon the TBF, or Transformational Breath®. Logo design is not modified in any fashion. Logo is not enlarged in size. Some reduction in size is permissible when Logo is used in website Cross-links or Ads to comply with website design styles. Logo is used only in the context of identifying the work of the Transformational Breath Foundation. Logo is clearly identified as, or implied to be, the trademark and copyrighted property of the Transformational Breath Foundation (TBF). The image is not used for commercial purposes or in connection with any promotion or marketing that reflect unfavorably upon the TBF, or Transformational Breath®. Image is not modified in any fashion other than reduction in size. Image is used only in the context of identifying the work of the TBF. Image is clearly identified as, or implied to be, the property of the TBF. The document not used for commercial purposes or in connection with any promotion or marketing that reflect unfavorably upon the TBF, or Transformational Breath®. Documents (with the exception of flyer templates) are not modified in any fashion. Transformational Breath® is a Registered Trademark and may not be used for commercial purposes without the express written consent of the Transformational Breath Foundation (TBF). When using our registered trademark for non-commercial purposes, such as in news articles, commentaries, and the like, we ask that you use our mark only as an adjective and to identify it with the registered trademark symbol ®. 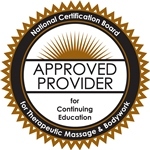 The TBF has an established Certification Program for its practitioners and certified practitioners are allowed to use the Transformational Breath® mark provided they do so only under certain conditions. Certified practitioners are urged to carefully review their certification materials to ensure that their use is in compliance therewith and to contact TBF if they have any question about their use of the Transformational Breath® trademark. An official Certification Rights Letter follows to: (a) inform the public about what is a Certified Transformational Breath Facilitator™, and (b) define rights to use the title (or similar) in commerce, and (c) who is authorized to grant and enforce such rights. This website does NOT employ Cookies. We do not place any data or files of any kind on your device. There is no way for us to track you, or your online activities, as an individual. The only personal data that we collect via this website are: name, email address, and possibly, goeographic data, if voluntarily added to our mailing list via our web Subscribe form. Email addresses entered via our Contact Form are NOT retained as this does not represent permission to use for marketing purposes. Therefore, we use that data only to reply to such inquiries. We do use Google Analytics on this site to aggregate data concerning items such as how much web traffic we generate, which pages visitors view, how long they stay on the site, which sources (search engines and other websites) lead visitors to our site, what search keywords are used to find us, and so on. These data help us reach more people by understanding their collective needs, but again, cannot be used to uniquely identify an indovidual or device. Aside from our website-related data, we necessarily collect a broad array of personal data with our business activities. Here we define our responsible practices concerning your personal data. No-Sell, No-Share Promise: The Transformational Breath Foundation respects your privacy and will not sell, lend, or give away any personal information you provide. Whether collected through trainings, workshops, web forms, phone, or in any manner of personal contact, such information will be used only for legitimate business purposes. This includes, but is not limited to, completing e-commerce transactions, conducting events, and keeping you informed of what is happening in the Transformational Breath® world. Types of Data: Through this website, we collect and store name, email, and some geographic data that is provided through our mailing list sign-up form. Through our offline business activities, we similarly retain attendance data when one attends one of our training programs or certain Workshops. For those who progress into our certification programs, we track their progress on meeting all staffing certification requirements. At training programs, we prudently collect a health history to ensure comfort and safety during our breathing sessions. For financial transactions we do have data necessary to complete transactions (through our secure online ecommerce site and/or point-of-sale situations at events). Other retained data might include survey responses, inquiries via email, registration needs and preferences. Data Security: We are in compliance with national and international laws such as GDPR (European Union General Data Protection Regulation) as far as providing protection of personal data and the right for the individual to have your data deleted. Our data online is kept with secure third-party services featuring secure protocols and respectful practices to protect you. Data collected on paper are kept in our office in a secure headquarters facility. Only those within the organization that have a "need-to-know" will have access such personal information. Oversight: We have a corporate Legal And Compliance Officer who is responsible for oversight of all company policies, both internal and external. This includes complying with laws extending from the local level all the way to International. This person also serves as a de facto Data Protection Officer. If Event is cancelled, all tuition is fully refunded. Can transfer the funds to a future event of the same type (e.g. Seminar for another Seminar). Event must be led by the same Senior Trainer. Transfer is valid for 12 months. (Time extensions permitted if no other applicable event is offered within the time span). Not transferable to another person. Upgrades: May be transferred to an "upgraded event" (e.g. From weekend Reclaim Your Breath™ to 6-day Seminar). Food, accommodations, and travel costs are made to third parties and thus refunds/credits are dependent upon policy of the event venue, airline, rental car company etc. For Tele-Seminars, or any Internet-based events, above terms apply.